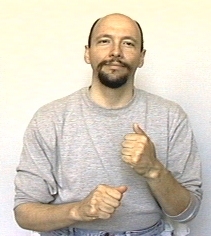 American Sign Language: "aide" or "assistant"
The sign for "aide" or "assistant" in general uses the dominant "L" hand to lift the base "A" hand. 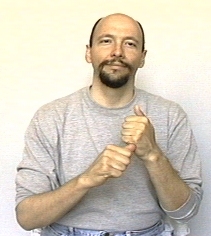 It is also common to see this sign done with both hands in an "A" handshape. If you are right-handed, tap the tip of the thumb of the right "L" hand twice on the bottom of the left "A" hand. Note: I was at a faculty meeting at my day job and my terp signed "ASSISTANT D-E-A-N" (using the "L"-hand version of ASSISTANT and then spelling the word "dean") to refer to the "Associate Dean" of the college. In my mind I thought, "Wow -- great sign choice!" (And I've adopted it ever since for "associate dean." At the local Deaf church I see the ASSISTANT sign used to refer to "1st Counselor" which is the second highest in local leadership of that particular congregation. Thus the "ASSISTANT" sign can mean such things as "second in command." Also of interest is in that organization there is a "Second Counselor" who is functionally the third highest in leadership. 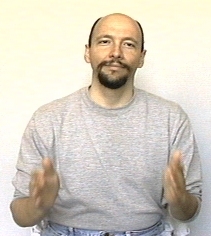 For that position the sign ASSISTANT is commonly done using a "3"-handshape on the dominant hand (instead of an "L" handshape). The AIDE or ASSISTANT sign does not mean "assistance" if you mean "assistance" then just do the sign for HELP. 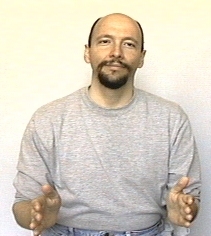 You may on occasion still see an initialized version of the sign for "aide" or "assistant." This version is what you would call an "initialized" sign. 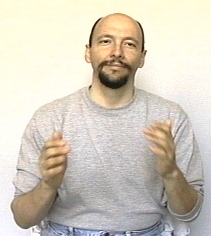 It uses the initial of the English word "aide" as the handshape for the ASL concept "aide/assistant." I no longer think this version is "okay" I don't consider it a good version. I encourage you instead to use the "L" hand version (above). 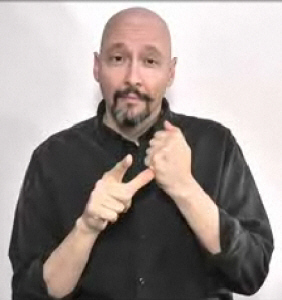 As time goes on it seems to me that I'm seeing more and more people do this sign with an "L" hand using a double tap and no "person" ending. Why? Well, one reason is that it takes less effort. Doing the very small double tap of the "L" hand takes less effort than adding the "person" ending to the "A" hand version. The sign for AIDE / ASSISTANT is based on the sign "HELP." You could express the concept of "aide" or "assistant" by signing HELP-PERSON which would mean "helper" which is more or less equal in meaning to "assistant."